Paksiw sa Gata, Ginataang Tulingan. If you have a tulingan what kind of dish would you cook it. At times it’s a little difficult to decide on how to cook it. 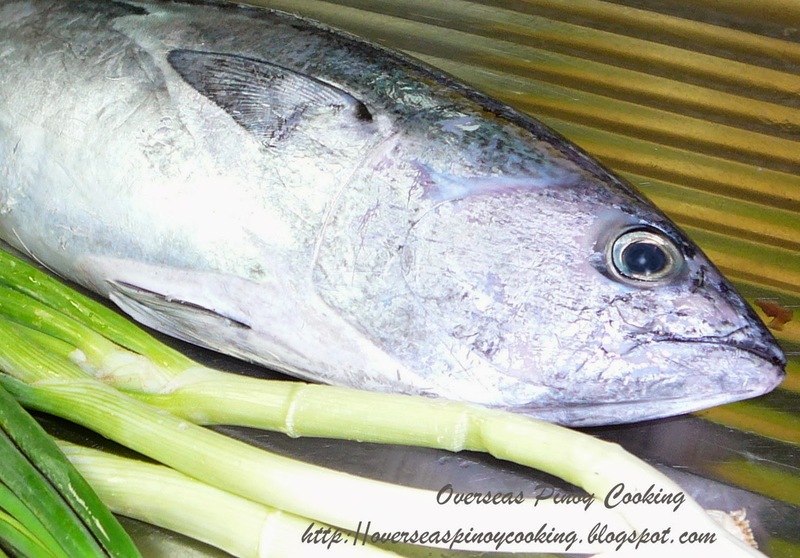 The smaller sizes can be of course cooked as sinaing or even fried or walang kamatayang paksiw. The bigger sizes can be cut into slices best for frying, and of course you can always cook it as paksiw or adobo. Tulingan is also good for ginataan. The big ones are good for grilling, just grill the whole fish in charcoal. I have these 1 kilo piece of tulingan and I didn’t think twice I want to cooked it paksiw sa gata and here is the recipe. Remove gills and innards of tulingan. Using scissors cut fins and tails. Wash fish thoroughly drain and slice diagonally. In a pot put garlic, onion and ginger at the bottom. Arrange sliced tulingan side by side, add 1 cup of water, 1 cup coconut milk, 1/4 cup vinegar or 3 tbsp. sampalok sinigang mix, bay leaf and black pepper. Season with salt to taste. Cover and simmer in a medium heat for 10-15 minutes, add remaining 1 cup of coconut milk and green chilli, simmer for another 10-15 minutes or until liquid is reduce to thick consistency but not dry. Garnish with leeks and cook for another minute. Serve hot. 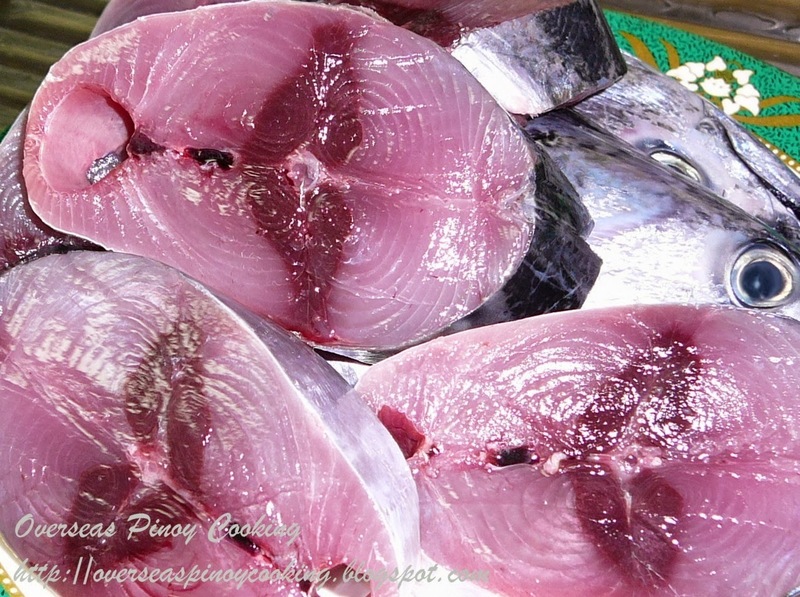 See other Paksiw na Isda Recipe. That fish (and dish) looks lovely. Wish we had fish like that in Scandinavia. There's a dearth of the variety of fish in the market in Cavite where I buy my seafood supply, but there's always tulingan, so it always features in our weekly menu. The small ones we boil and fry, or grill. The big ones are cooked with kamias until dry, or ginataan. where did the cooking oil go? To Anonymous, thanks for highlighting, I already removed the cooking oil from the ingredients.